Arab is calling out @iamcardib on Twitter, because he say she loves to “Dehumanize” black women. 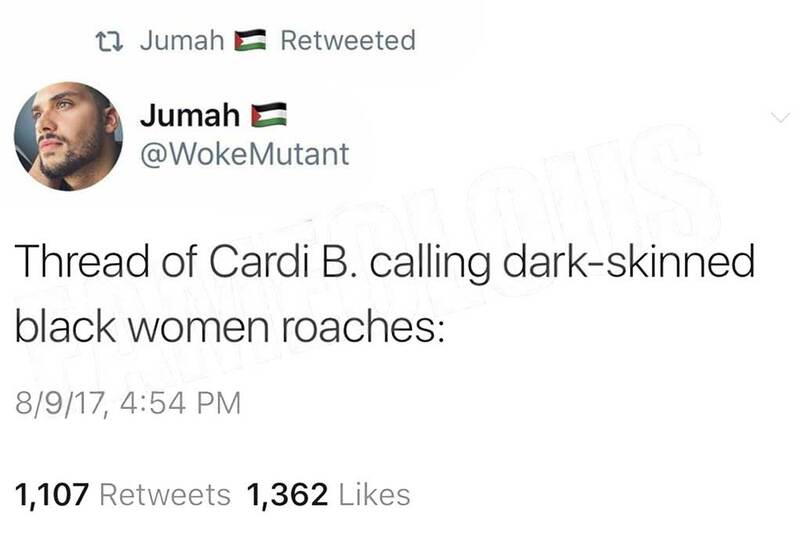 The Arab points out that every girl Cardi ever called a roach or monkey is a dark-skinned woman. However, Cardi B says that can’t be true because she calls herself those names. Cardi feels the Arab is just trying to make her lose fans and make her look bad. The Arab says that’s not the case and that Cardi shouldn’t be able to dehumanize black women because one of her parents is black. 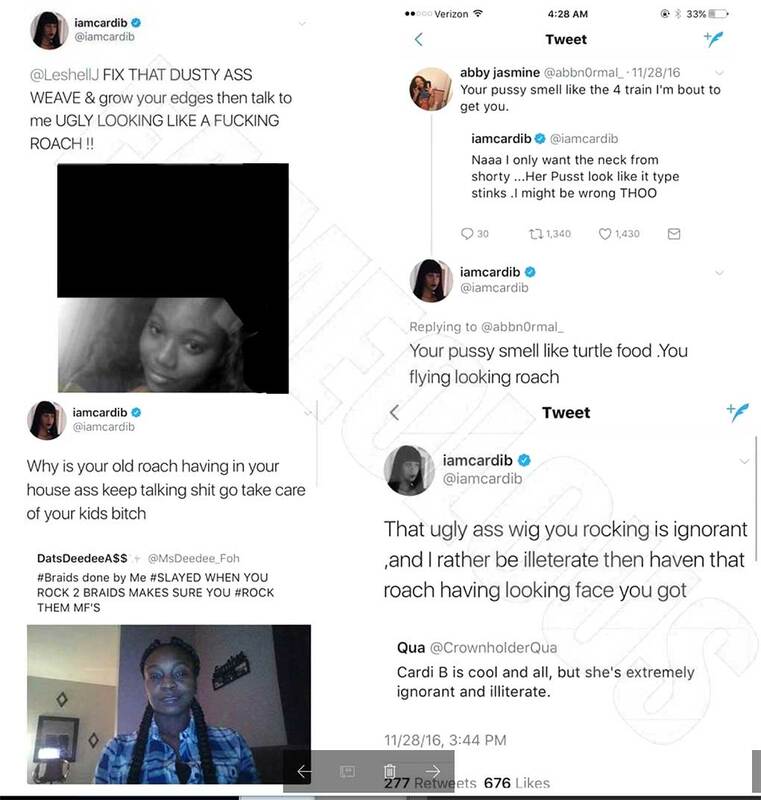 The Arab also feels Cardi is trans-phobic and is a colorist issues because he says she targets black women, particular dark-skin females. Arabs have black slaves in Tunisia he should speak on that. Quick to fall in love with these Devils first chance u get !!! Just to hate on them later !!! Here we go….again with another rapper (artist) who is climbing the ladder and all the people down below lighting torches to make her run faster up the gd ladder. Then they will tell her to jump. The industry and its fans are always the same. 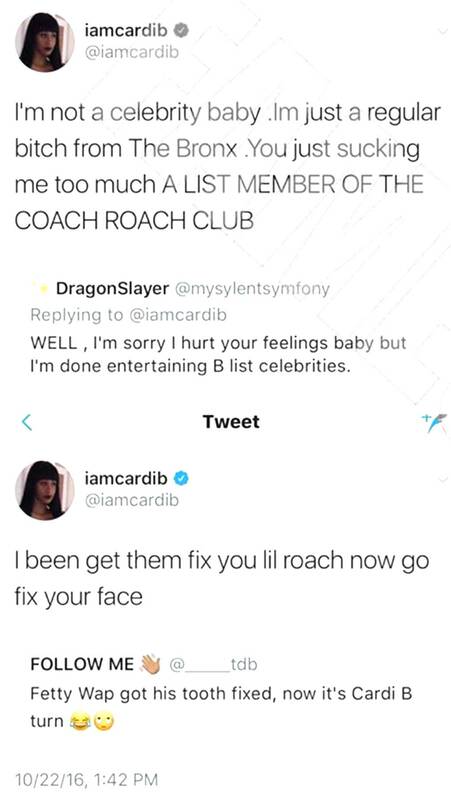 Who Cardi B callin a roach? She ain’t nothing but a makeup wearin thrip. She make black woman look ignorant and cheap and some of us are not. I really dislike her ignorance.